Submitted 1 year 1 month ago by Pooler 09. Sports a proven rotary bolt design and dual slide bars for quick, no-hassle chambering and ejection. 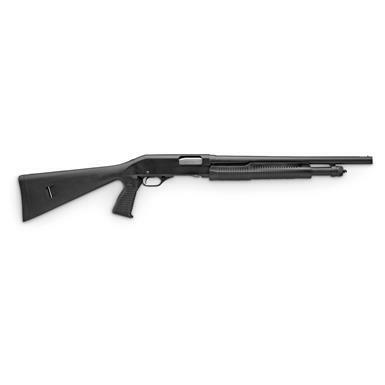 Also equipped with flawless balance, a pistol grip stock and bead sight for improved accuracy. 2.25" Drop at comb Cylinder choke tube Side eject Proven rotary bolt design Dial slide bars Tube magazine Cross-bolt safety Dont miss this offer, order now!